Cyperus esculentus is an underutilized crop that has been studied mainly for its nutritional. It contains compound such as Quercetin, beta-sitosterol that is known to have anti-cancer properties. Thus, this study sought to find its antioxidant ability and cytotoxic effect on few cancer cell lines. Qualitative tests were performed to determine the functional groups present in the extracts. 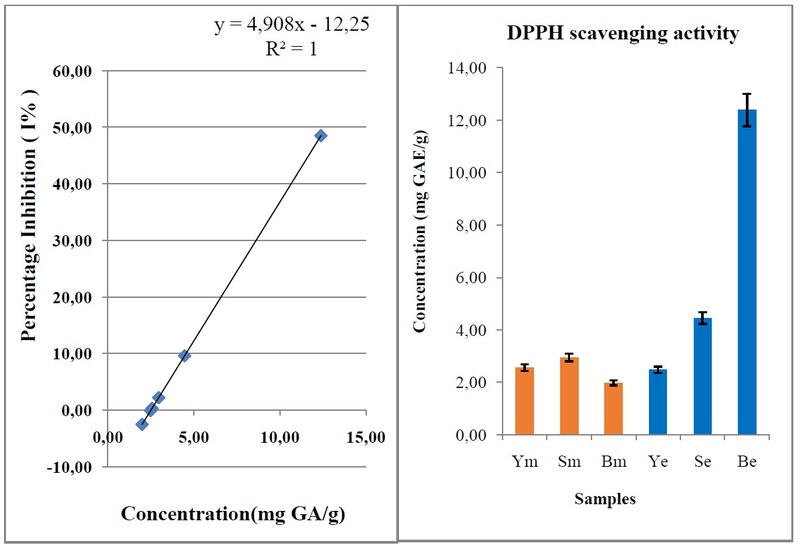 DPPH and Aluminum Chloride assays, Folin and Ciocalteau Reagents were used for the antioxidant activity. Finally, MTT assay was used for cytotoxicity effect. Be extract gave the highest percentage inhibition of 48.52%. The IC50 value was 12.68 GAE mg/g. There was no significant difference in the relative percentage of cell viability obtained from both extracts, but rather at the different time of treatment. The extracts showed an anti-proliferative effect on MCF7 and MDA-MB-231 cell lines. The presence of flavonoids, phenol content and sterols might be involved in the cytotoxicity effect of the extracts on the cell lines. The cells were mostly affected at 48-hour post-treatment suggesting that the active compounds are depletable after 48h. Also, the extracts anti-proliferative activity is related to the characteristics of the cell lines investigated. The aqueous extracts of Tigernut are a good candidate for the formulation of anti-cancer treatments.